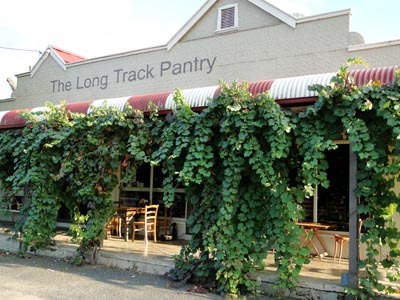 One of my favourite places to stop when driving the Hume Highway is the Long Track Pantry at Jugiong. The coffee tastes great, the food is delightfully made on the premises and there’s lovely tables to sit either inside amongst a vast array of kitchen giftware or outside in the sun with gorgeous rural views. A few weeks ago we stopped there on one of our many trips and Steve picked up one of Long Track’s free magnets containing this chocolate cupcake recipe. It quickly appealed to me because all the ingredients go in the food processor at the one time and then it’s straight into muffin cases and into the oven. At the same time I found I was lean on morning tea supplies in the freezer for the school term ahead, so I decided to give these a go. 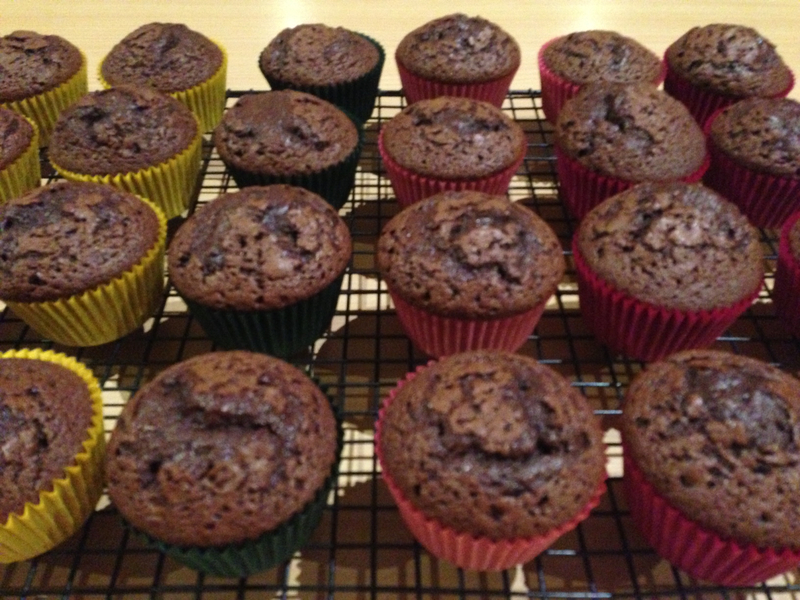 Moist and chocolatey and totally eatable even without icing, I’m sure I will be making these cupcakes again. The total cost for these is less than $5 and the recipe below makes a neat 24. Preheat oven to 180 degrees / 160 degrees if fan-forced. Distribute 24 patty cases across 2 twelve hole muffin tins (regular sized, not patty cake or mini muffin sized – though you can make them smaller if you wish). Place all ingredients into a food processor and mix until smooth, but don’t over process. Spoon into prepared muffin cases and bake in oven for 15-20 minutes. When cool, ice with chocolate icing if desired, or sieve a little extra cocoa powder and icing sugar over the top (I didn’t do either and they still tasted lovely). Enjoy!